The Month of Gathering is here, and it is time to collect your monthly freebie foods and 2000 NP! Treasure Keepers Updates: All of the adventure maps have been added to our Treasure Keepers guide. Keep checking back as we add more features and helpful tips. You can also join us on the discussion board if you are looking for game neighbors or just have questions. An official notice from the Meteor Games staff has been posted about the recent game update. We corrected a couple of big bugs yesterday. Thanks for all your input! Fixed a major bug involving item placement on shop tables where the game believed that the space was already filled. This should address many "Oops" errors for a large number of players. Fix bug that prevented the Shopshop from opening. Fixed a bug involving table collision that affected a sizeable number of users. 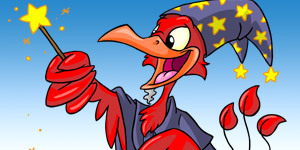 The September NC Mall Wit & Wizardry collectible features Igneot. This item will only be available in the NC Mall during the month of September! 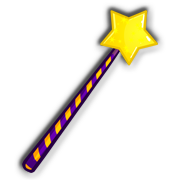 The bonus NC Collectible item for completing the Wit and Wizardry Collection features the Lenny Conundrum Wizard. Donations! :D Thanks to all the wonderful donations we are close to reaching our financial goal for the year. If you would like to donate, you can see all the details on our Donate to Jellyneo page. We also offer a Web Hosting discount code for anyone looking to purchase web hosting with Dreamhost. Using the promotional code gives you a discount, and it helps JN with our hosting costs. If you would like to know what Jellyneo has been up to for the past year, we have recently updated our history page with a number of highlights of past projects and events. 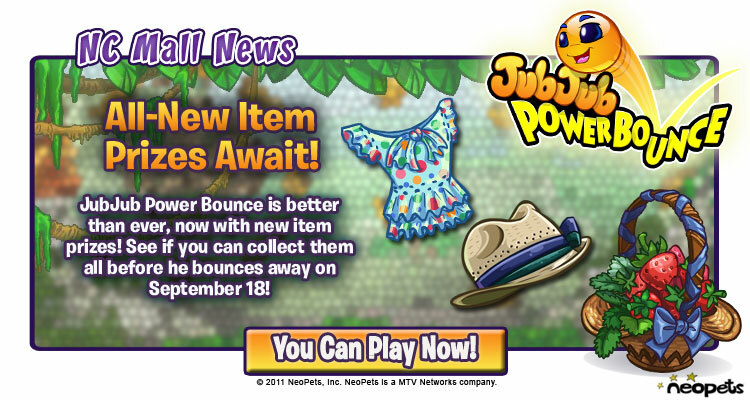 Another batch of prize items have arrived for the NC Mall game JubJub Power Bounce. We have updated our guide (you can click on an item's name to go straight to the models!). 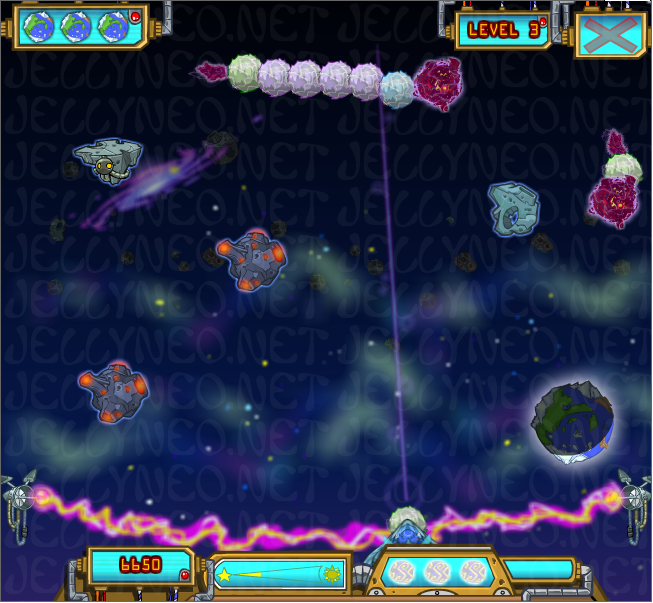 Comets are heading straight for Neopia. 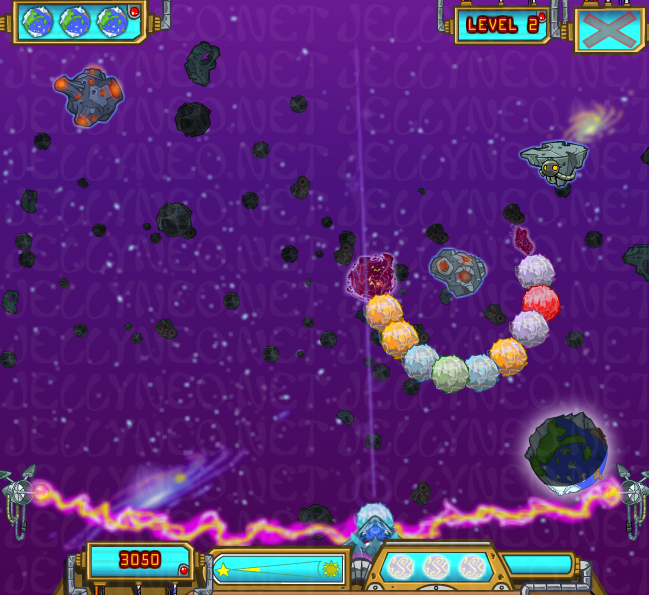 It's up to the Space Faerie to save the planet! Not to worry, though; her ship fires blastoids that obliterate the comets. It's all in a day's work for the Space Faerie. 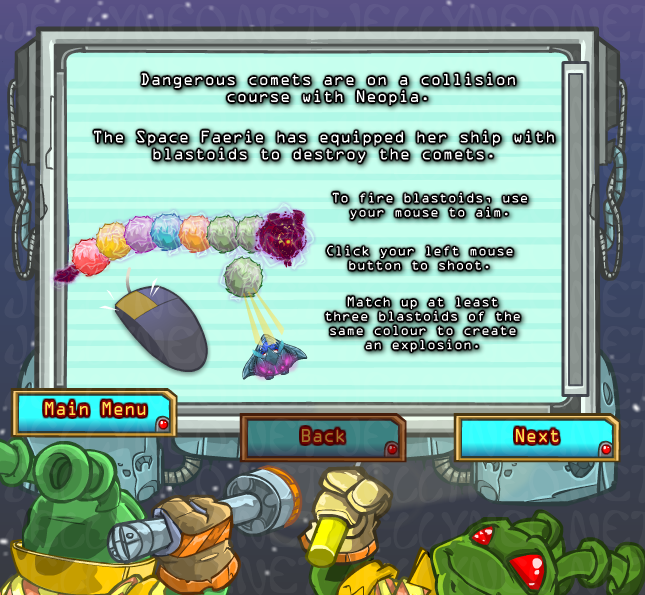 Match the blastoids in each comet with the same colours from your ship. 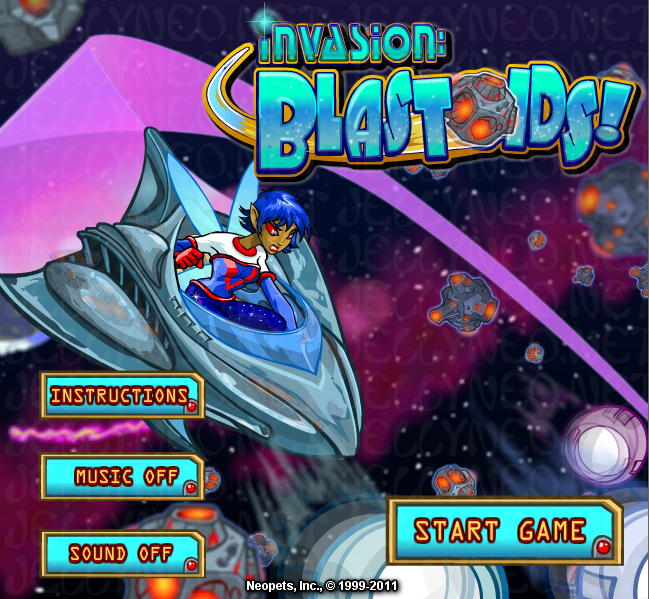 The more blastoids you combine, the bigger the explosion! 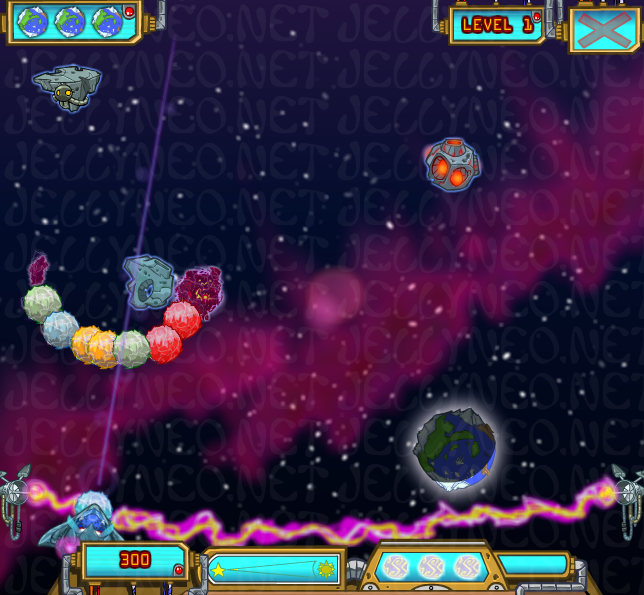 Don't wait too long; if comets get past the Space Faerie, it's the END of Neopia! Forgotten Shore Map: You can find Forgotten Shore map pieces at the Anchor Management daily. Completing the map awards access to the Forgotten Shore daily. 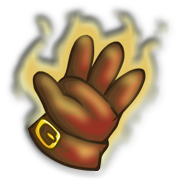 The new Forgotten Shore daily has a new avatar to unlock. 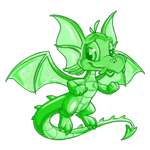 The avatar will be awarded randomly when collecting a daily prize. 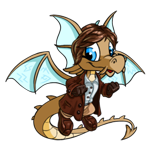 You are now eligible to use 'Forgotten Shore' as an avatar on the NeoBoards! All 8 missing instrument locations are available today for the CapriSun Live Band Show sponsor activity. Finding all 8 should award you with an extra 5000 NP and the exclusive Colourful Band Leader Hat. Update: The final prizes are now being awarded. Visit the sponsor page to collect. You can find all 8 hidden locations on our sponsor guide. A number of game updates today! 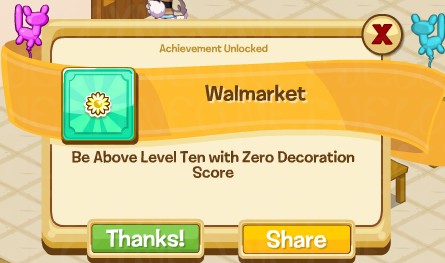 New achievements have been introduced for decorating your shop. 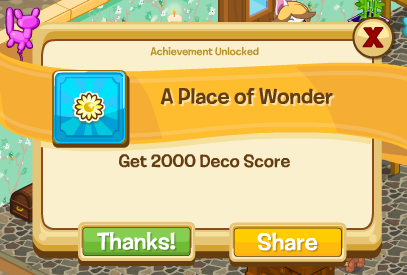 Decoration achievements will be awarded for having up to 20,000 existing decoration points! 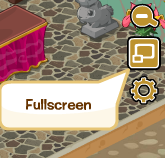 You can now toggle the game to fullscreen by clicking the icon located on the right side of the game screen. To leave fullscreen mode, you will need to use the Esc (escape) key on your keyboard. 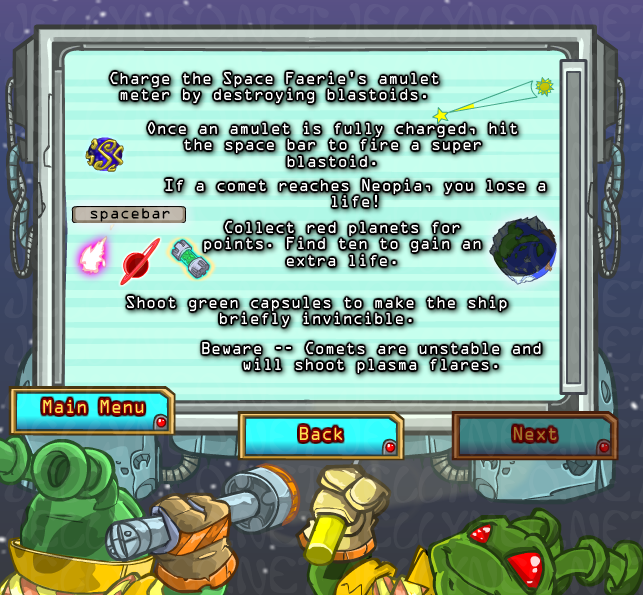 New quests have been added, including The Eternal Intern and Nernil the Procurer. We will be adding new quest information to the quest listing shortly. Two new hidden achievements have been discovered. 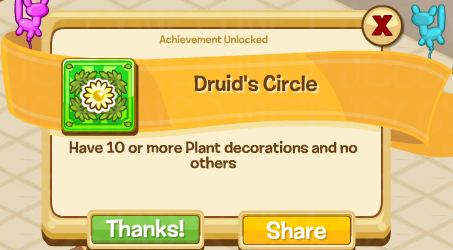 These achievements will appear under the shop achievements list once you unlock them. You can find these achievements and more on our achievements guide. 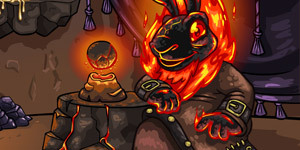 You can discuss achievements and more here, or join the forum discussions. 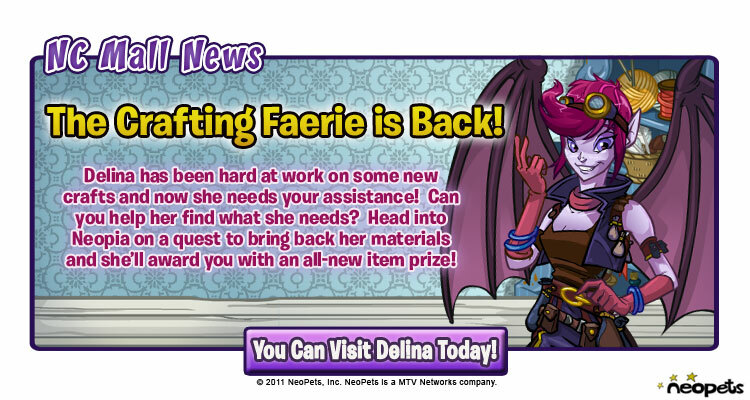 Delina is requesting new crafting items at her workshop. You can now visit her daily for a new crafting quest. The materials needed for each quest can be found on our Faerie Quest guide. 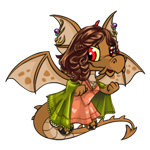 Workshop Closed: Delina will only be available to give out quests at random times during the day. Keep checking the NC Mall neoboard for quest times.